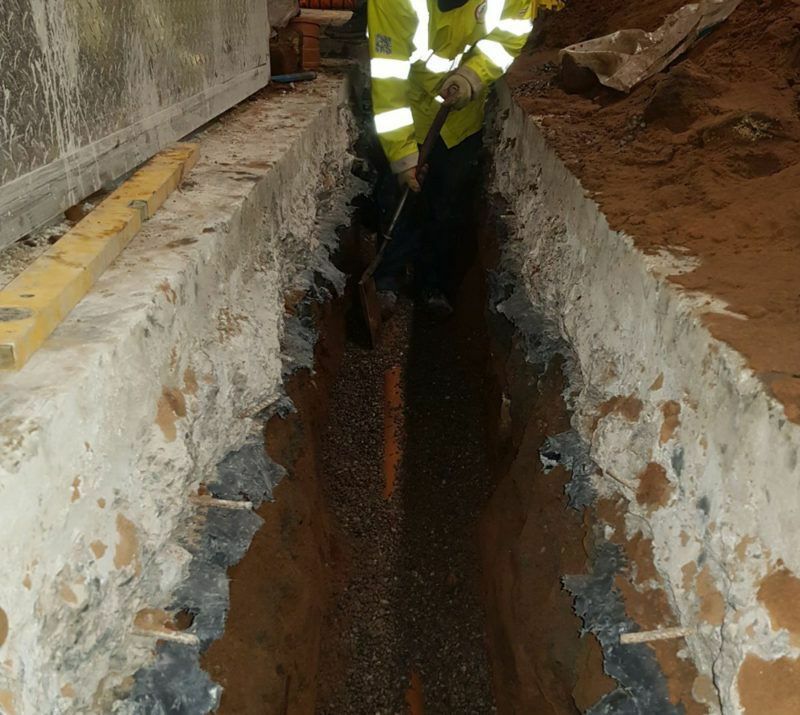 Drainage specialist Lanes Group plc has used lateral thinking to spark a change of direction and solve a supermarket’s drainage problem without the major disruption the retailer had feared. 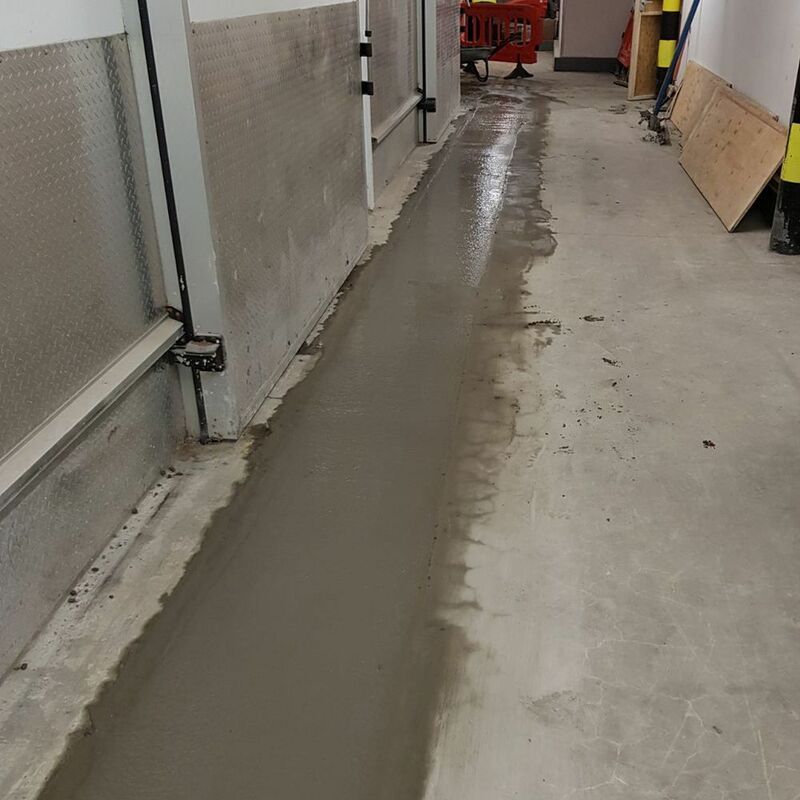 Facilities managers for the national food chain had thought they might need to move walk-in storage freezers at the store to excavate and repair a drain that had collapsed. But a team from Lanes, the UK’s largest independent drainage and utility specialist, came up with a simpler, less costly and less disruptive solution at the supermarket in Prestwick, near Glasgow. Brian Kerrigan, Regional Manager for the Lanes Glasgow Depot, said: “Our solution was to install a bypass drain around the edge of the freezers which eliminated the need for more disruptive work. “The original plan was to move the freezers temporarily, or to tunnel under them to reach the collapsed drain. Both ideas would have risked damaging insulating heat pads build into the floor beneath the freezers. Lanes was called in to give a second opinion as to what could be done, which is where the idea of installing a bypass drain with an internal excavation was born. The project involved laying 25 metres of 100mm-diameter PVC pipe, taken around the corners of the freezer with 45-degree bends. Brian Kerrigan said: “The solution eliminated substantial renovation work. We had three operatives working night shifts Monday to Thursday for 15 days to carry out the work. The Lanes Glasgow depot has expertise in carrying out major drainage excavations and can also deploy a full range of no-dig techniques to repair and rehabilitate pipes, including cured in place point lining and full lining.